Tinted Moisturizers ,BB and CC Creams can be so confusing but they really do present something good for every kind of skin. The difference between Tinted Moisturizers and BB and CC creams is subtle and confusing. We wish the actual descriptions of how a product is meant to work would be as transparent as the products themselves, but no bother, we have tried a lot of these little miracle workers and can translate for you. Which one to wear when and how the choices can be subjective but not so much when you define your parameters. Let’s begin at the beginning with a little basic 411. Tinted Moisturizer is just that: moisture with a little color and for daytime use, they generally include some sun protection. In fact, some of our faves are made by sun care brands. BB which stands for “beauty balm” or “blemish balm” and is most like a tinted moisturizer or lighter foundation with a few skin care benefits and protection thrown in. They prime the skin’s surface and can be used as a primer under your foundation. BB’s are highly concentrated so a little goes a long way. CC generally stands for “color correcting” or “color control. ” CC products are meant to address issues of uneven skin tone and texture. Dull skin will benefit from a CC cream because most of them include some forms of treatment and light reflecting particles. The blur effect of making your pores look smaller and your skin glassier can be achieved with either product. The key is that CC has more pigment and will cover redness and in some cases even treat discoloration. Both BB and CC creams can be used as a base under your more serious color -matched foundations, which is key because most BB and CC products are a bit limited when it comes to specific skin colors. In other words, they don’t come in the range that foundations do. 1) For a little something/something, reach for a tinted moisturizer that will give you a little moisture and a little color. And sometimes but not always some SPF. 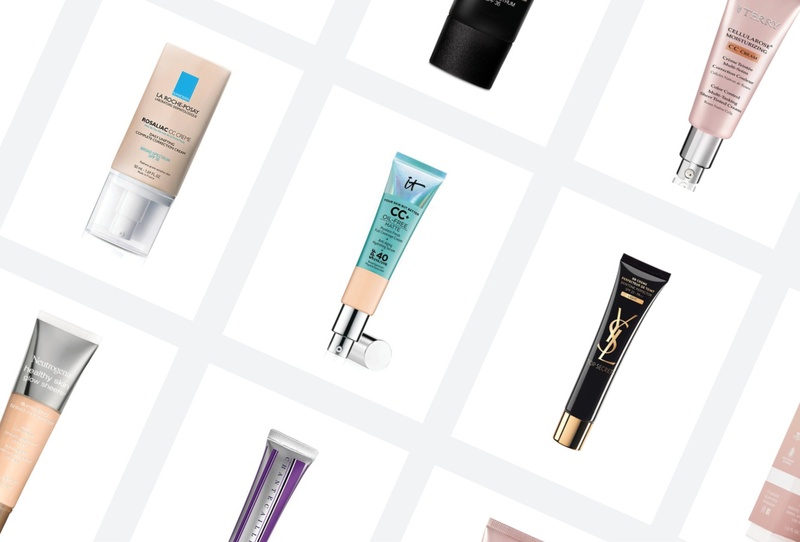 Our favorites definitely include an SPF. 2) For a bit of color, a boost of hydration a smoothing effect, and SPF, BB cream fits the bill. 3) For coverage, color and texture correction and SPF, CC cream heeds the call. 4) For a night out on the town, you can use BB cream as a base, followed by a CC cream or your favorite foundation. For a lot of us, less really is more. So these pale faced days of winter, after cleansing, we are reaching for a serum, a moisturizer and a lovely BB cream with a healthy shot of sunscreen during the day and a tinted moisturizer for casual evenings.